Golden Retrievers may not be aggressive by nature, but certain reasons can drive them to turn aggressive over time. If your Golden Retriever is displaying signs of aggression or irritation, unlike its usual behavior, quite often, chances are it is facing one of these issues mentioned below. Remember that some issues may be trivial for us humans but are not so for our dogs. Find out which may be more likely given your dog’s temperament and look for a solution accordingly. 5 How to Deal with Golden Retriever Aggression ? Golden Retrievers may not be very social as per traits of certain individual dogs but are definitely not meant to be left alone. There have been cases of Golden Retrievers turning sad or aggressive when being left isolated for long. 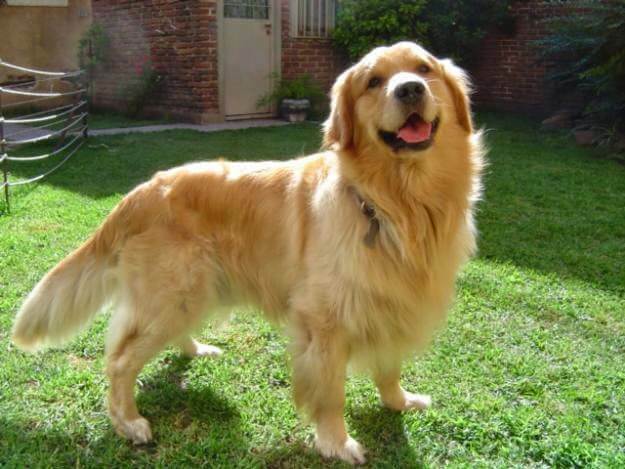 The reason is that Golden Retrievers always crave the company of other dogs or humans. Leaving them alone is not good for their mental health. They turn agitated and irritated. If need be, yes you can leave them alone for a couple of hours, but make sure to not make this a routine. Let there be at least one person at home all day every day to be physically present with your Golden Retriever. Otherwise, it is best to not get home one. Golden Retrievers are quite possessive of their owners. If they see you interacting lovingly with another dog, chances are your dog is not going to be very pleased. Even if you bring home a new pup, your grown-up dog is going to show signs of jealousy. Humans may brush it off nothing, but it’s a big deal for your dog. This jealousy accumulates over time and ends up turning into a full-blown aggressive outbreak eventually. Which is why it is important to pay attention and appreciate your first dog even when you get home a new one. Given that Golden Retrievers are quite calm and poised by nature, it is not so difficult to threaten them. If your Golden Retriever feels threatened or endangered by any other dog or human, they may grow unusually quiet. But, over time, this results in them becoming aggressive. It may be one of your friends, another animal, or even an unusually large toy. Look out for anything that scares and frightens your dog in order to avoid any further bouts of aggression from your Golden Retriever. Golden Retrievers are not meant to be treated harshly. They respond in their ultimate best fashion only to a flexible or a slight lenient code of conduct. True that there will be circumstances that call for your dog’s punishment but do so only if absolutely necessary. Also, make sure that you give out subtle hints of unappreciation instead of going all out on them. The best way to point out their misconduct is to award their good conduct tremendously, instead of punishing them when they misbehave. If you keep pushing your Golden Retriever to its limits by scolding and punishing it more than often, it is bound to turn aggressive over time. How to Deal with Golden Retriever Aggression ? Find out why your dog behaves the way it does. There may be some hidden reason which may be compelling your Golden Retriever to behave in an aggressive manner. Aggression is not the inborn trait of a Golden Retriever. So, a behavior like that may result due to improper treatment, being isolated, or due to jealousy of other dogs. As mentioned before, it may also be due to an unapparentaspect that humans can be oblivious to. Whatever it may be, instead of driving yourself to absurd conclusions, find out the root of the problem and deal with it accordingly. The above reasons for the aggression of your Golden Retriever may not be all. Your dog may be suffering in a situation completely exclusive of the above-mentioned ones. Remember that a Golden Retriever is not, by nature, an aggressive animal. It turns so due to some external reason. Find out that reason and put an end to it. Very soon, your dog too is bound to get to normal. Patience is the key. Ensure that you are patient with them all times, even when they are at their absolute worst.